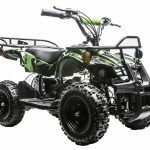 If your up and coming rider is ready to hit the trails but isn’t quite ready for a gas-powered mini bike, then look no further than the Monster Moto 250 Watt. If you haven’t already noticed, the Wild Child Crew is especially stoked on all of the great products that Monster Moto has to offer. Today we want to take a closer look at the Monster Moto 250 Watt Electric Mini Bike. 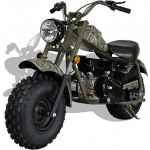 Their mini bike is built just the same way as the Monster Moto gas-powered mini bikes. 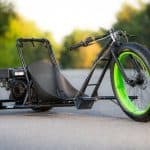 This 250 watt electric mini bike will give your rider the same ride and feel of a gas powered mini bike without all of the power. 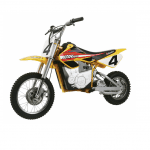 It’s a great starter bike for many young riders and will really help them in making a smooth and comfortable transition later on to a more powerful mini bike. One of the coolest things about this particular electric mini bike is the ability to customize your bike with red and/or pink decals. 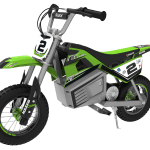 Let’s kick things off with this Monster Moto 250 electric mini bike review by answering some of the most frequently asked questions about this kids electric dirt bike. 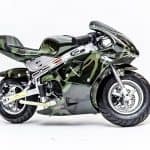 Who is the Monster Moto 250 Watt Electric Mini Bike designed for? 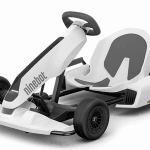 This kids electric mini bike is designed for riders ages 6 and up with a maximum rider weight of 130 pounds. 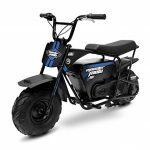 What’s the top speed of the Monster Moto 250 Watt Electric Mini Bike? 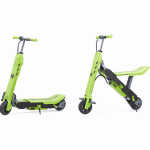 The top speed of this mini bike is 11 mph with 45 minutes of continuous use on a full charge. One of the best features of this Monster Moto electric mini bike is the 2 stage safety speed limiter. 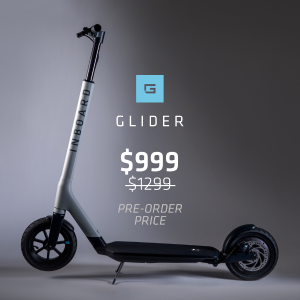 This allows you to set the top speed of the bike at either 7 or 11 mph. How much does the Monster Moto 250 Watt Electric Dirt Bike cost? 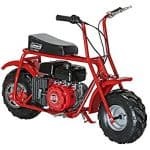 This particular kids electric mini bike is going to run you somewhere between $230 and $250. What do we like most about this Monster Moto Mini Bike? 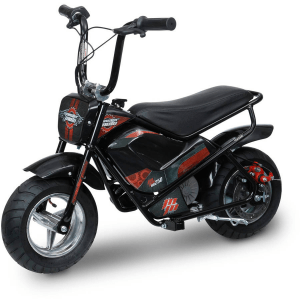 COST – This is a great entry level electric mini bike at an awesome price! SAFETY SPEED LIMITER – Safety first when it comes to your child. 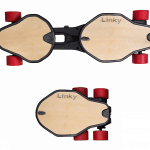 The safety speed limiter will allow your child to get comfortable with throttling, braking and balancing at a lower speed and then progressing to a higher top speed once they are ready. 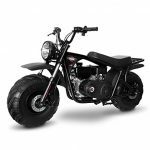 What would we change about this Monster Moto Mini Bike? SUSPENSION – Adding a little extra suspension to the Monster Moto 250 watt could make for a slightly smoother overall ride. 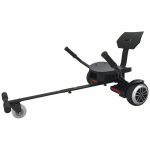 Check out the Monster Moto 250 Watt in action! Thanks for stopping by and checking out these Monster Moto 250 watt electric mini bike review! 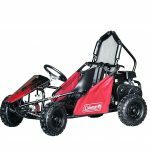 Be sure to check out some of the other great Monster Moto products and kids dirt bikes available through Wild Child Sports!